If you appreciate honest quality in men's clothing, where do you search for your your outerwear jackets & shirts? 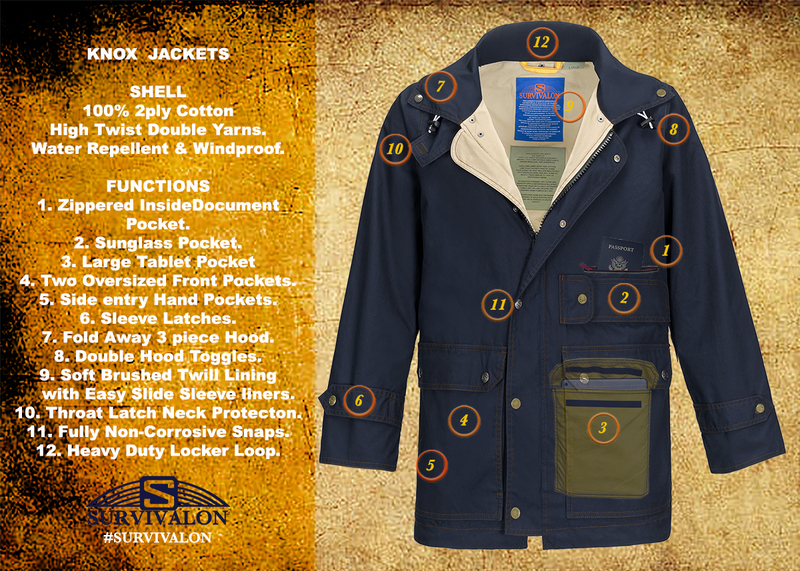 KNOX JACKETS SHELL 100% 2ply Cotton High Twist Double Yarns. Water Repellent & Windproof. 4. Two Oversized Front Pockets. 5. Side entry Hand Pockets. 7. Fold Away 3 piece Hood. 9. Soft Brushed Twill Lining with Easy Slide Sleeve liners. 10. Throat Latch Neck ProtectIon. 11. Fully Non-Corrosive Snaps. 12. Heavy Duty Locker Loop.